To overcome the speed bottleneck of the commercial off-the-shelf DLP projector (120, or 360Hz after modification). A DLP development kit is needed to precisely control each micromirror in the DMD. The DMD is capable of switching mirrors "on" and "off" at very high speeds (10^6 Hz). An off-the-shelf DLP projector, however, effectively operates at much lower rates (60 - 120Hz) by emitting smaller intensities that are integrated over time by a sensor (eye or camera) to produce the desired brightness value. 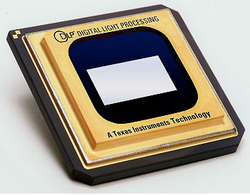 For example, an 1-bit binary image just need one working cycles of DMD while an 8-bit gray-scales image needs 256 working cycles (See how DLP® technology works at the official page by Texas Instruments). So it is preferable that the pattern can be generated using as fewer gray-scales as possible so that it can be reproduced by DMD at a higher switching speed. We are also developing techniques to minimize phase error and generate high-quality modulated fringe patterns with only very few gray-levels (2 or 3). 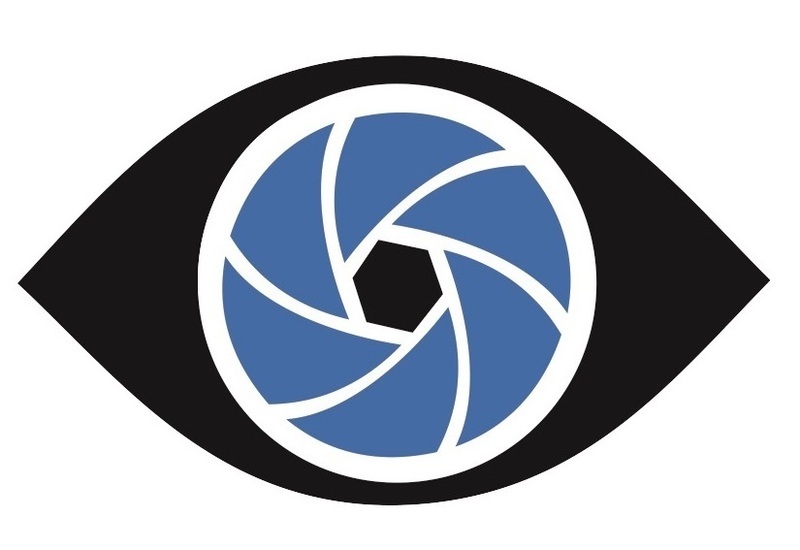 Our goal is to realize high-accuracy, super-high-speed (kHz) 3D imaging for fast-moving objects and dynamic scenes. 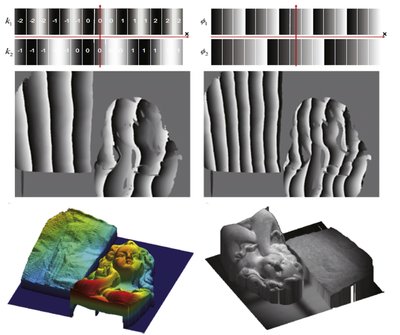 One of the bottlenecks in high-speed 3-D imaging system is the limitation of projection speed. As well known, the projection of a 8-bit pattern requires a lot of time due to the principle of digital mirror device (DMD), and this is the main reason restricting the projection speed in traditional structured light system. However, a binary (1-bit) pattern is suitable for projecting by DMD with ultra fast speed. By modulating the frequency component of the binary images, defocusing technique can convert these images to the sinusoidal fringes with which the wrapped phase can be obtained as the scheme of the 8-bit patterns. Either the optimized pulse width modulation (OPWM) or the dithering technique aims at searching the best way to convert the binary patterns to sinusoidal fringes which is still a challenge in this field. Three-dimensional profilometry by sinusoidal fringe projection using phase-shifting algorithms is usually distorted by the nonlinear intensity response of commercial video projectors. To overcome this problem, several methods including sinusoidal pulse width modulation (SPWM) were proposed to generate sinusoidal fringe patterns with binary ones by defocusing the project to some certain extent. However, the residual errors are usually nonnegligible for highly accurate measurement fields, especially when the defocusing level is insufficient. In this work, we propose two novel methods to further improve the defocusing technique.We find that by properly optimizingSPWMpatterns according to some criteria, and combining SPWM technique with four-step phase-shifting algorithm, the dominant undesired harmonics will have no impact on the phase obtained. We also propose a new sinusoidal fringe generation technique called tripolar SPWM, which can generate ideal sinusoidal fringe patterns with a very small degree of defocusing. Simulations and experiments are presented to verify the performance of these two proposed techniques. C. Zuo, Q. Chen, S. Feng, F. Feng, G. Guo, and X. Sui, "Optimized pulse width modulation pattern strategy for three-dimensional profilometry with projector defocusing," Applied optics 51(19), 4477-4490(2012). This paper introduces a high-speed three-dimensional (3-D) shape measurement technique for dynamic scenes by using bi-frequency tripolar pulse-width-modulation (TPWM) fringe projection. Two wrapped phase maps with different wavelengths can be obtained simultaneously by our bi-frequency phase-shifting algorithm. Then the two phase maps are unwrapped using a simple look-up-table based number-theoretical approach. To guarantee the robustness of phase unwrapping as well as the high sinusoidality of projected patterns, TPWM technique is employed to generate ideal fringe patterns with slight defocus. We detailed our technique, including its principle, pattern design,and system setup. Several experiments on dynamic scenes were performed, verifying that our method can achieve a speed of 1250 frames per second for fast, dense, and accurate 3-D measurements. C. Zuo, Q. Chen, G. Guo, S. Feng, F. Feng, R. li and G. Shen, "High-speed three-dimensional shape measurement for dynamic scenes using bi-frequency tripolar pulse-width-modulation fringe projection," Optics and Lasers in Engineering 51(8), 953-960(2013). 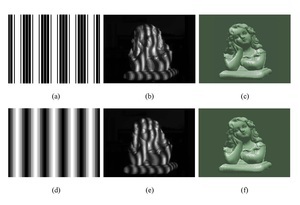 The recently proposed optimized dithering techniques are able to improve measurement quality obviously. However, those phase-based optimization methods are sensitive to the amount of defocusing while intensity-based optimization methods cannot reduce the phase error efficiently. This paper presents an ovel method, minimizing a proposed objective function named intensity residual error (IRE), as well as an ovel frame work, optimizing pixels group by group, to construct binary patterns for high-quality 3D shape measurement. Both the simulation and experimental results show that this proposed algorithm can achieve phase quality improvements over other recently optimized dithering techniques with various amounts of defocusing. J. 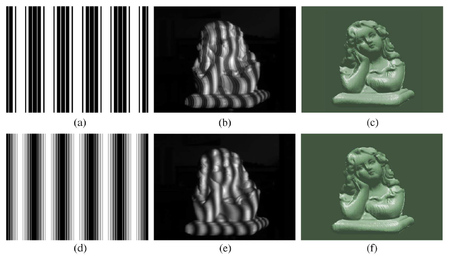 Sun, C. Zuo, S. Feng, S. Yu, Y. Zhang, and Q. Chen, "Improved intensity-optimized dithering technique for 3D shape measurement," Optics and Lasers in Engineering 66, 158-164(2015).